Every gymnast is given their own award book which records the skills learned in their training. The awards are carefully structured to progressively introduce and advance your gymnast’s skills. There are 12 moves in each award – 3 moves on each piece of equipment. When you have passed 11 of the 12 moves on an award, you will be presented with a medal to show how well you have done. Most gymnasts pass an award once a year (much like ballet or music grades). There are seven medals to achieve before you go on to the bronze, silver and gold awards that earn you a trophy! Bronze, Silver, Gold awards – Trophies. So good luck, train hard and have fun!!! 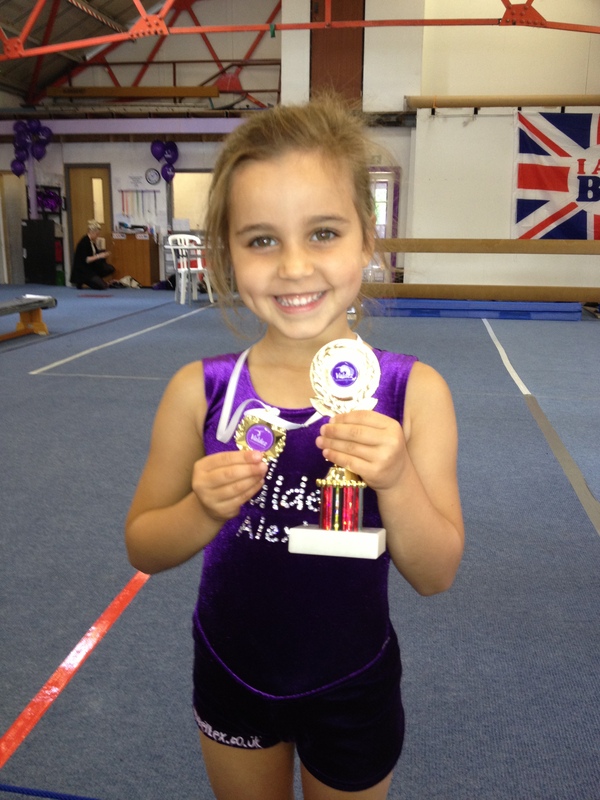 Pre-School gymnasts are given award cards which record the skills they try in their training. The reward scheme is carefully structured to introduce proper gymnastic skills to very young gymnasts. When 8 stickers have been awarded on the card, Pre-Schoolers recieve a badge. Most Pre-School gymnasts pass an award once a term. There are 10 badges to achieve before moving on to the Valdez award scheme.